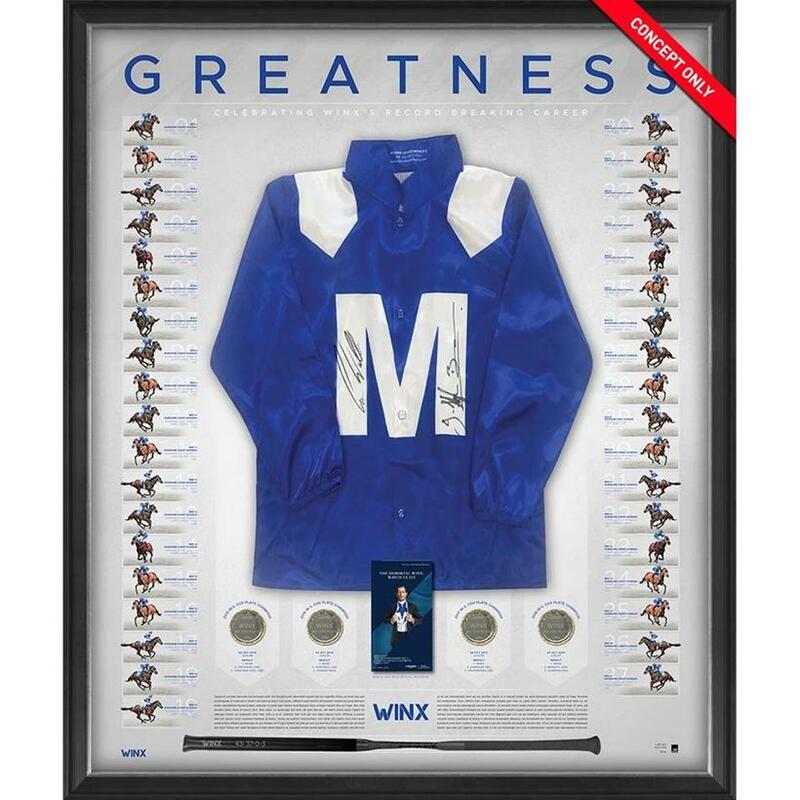 Limited stock available of these outstanding pieces celebrating the career of Australia's finest thoroughbred. Superb. 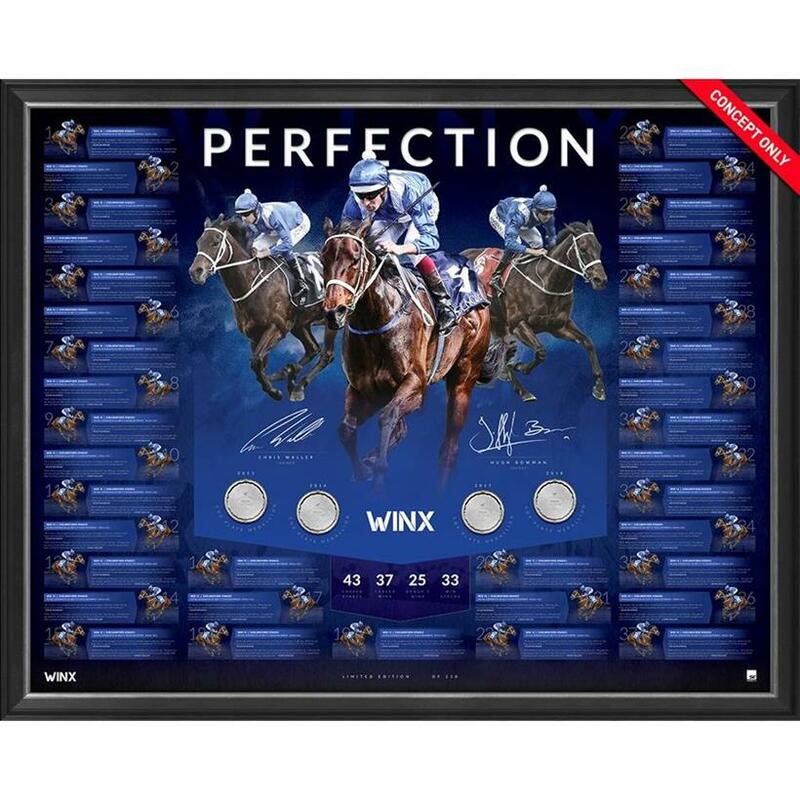 Just choose "Winx" from within the Horse Racing category on the left side of our site! Limited stock available. Measures a fantastic 100cm x 120cm. Full race history. The ultimate.Winx tribute. $1,485 with free delivery across Australia. Instalment payment option available. An edition of just 500 worldwide. 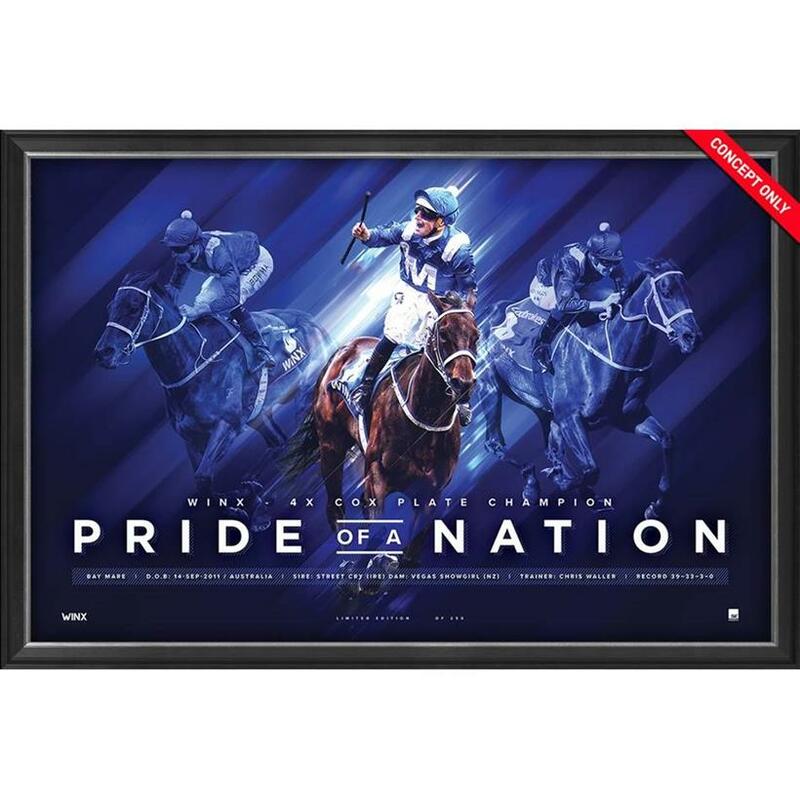 Celebrates the number 1 ranked racehorse on the planet. Replica Cox Plate medals. Full face history. 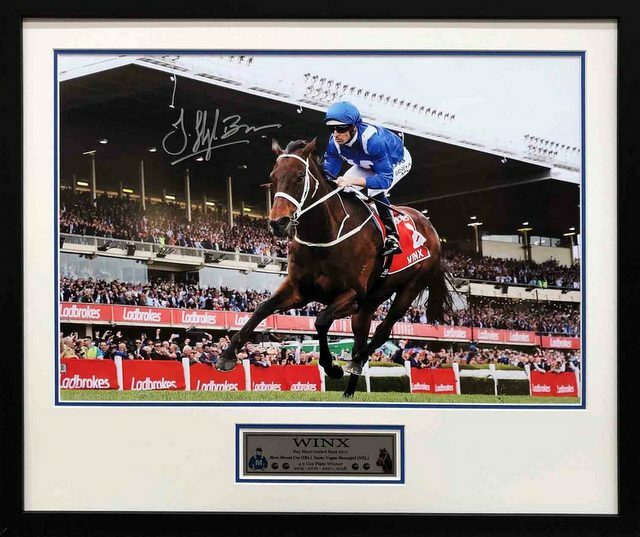 Dual signed by Hugh Bowman and Chris Waller. Licensed by Winx owners, as are all the official pieces in this range. A superb image of Winx in full flight. Personally signed by jockey Hugh Bowman. 70cm x 40cm. An affordable $450 including delivery Australia-wide. Artwork features iconic stills of the legendary mare, along with statistics from her incredible career. Individually numbered Certificate of Authenticity. Beautifully framed. $295 including free delivery Australia-wide.